A dependable marine generator is imperative to enjoying time on your boat. It provides the power you need to operate the basic necessities as well as luxuries. Without a reliable power source, you and your guests can be cast adrift, sending out mayday signals and hoping for a tow. YachtAid Marine is able to help you choose the best generator for your needs as well as installing and servicing it to help ensure you have a safe and enjoyable voyage. 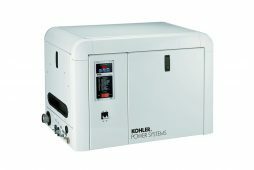 We carry a full line of reliable marine generators including Fischer Panda, Kohler, Northern Lights and Westerbeke. Selecting the correct capacity can mean the difference between blowouts caused by overloading, or smooth sailing. YachtAid Marine technicians are able to determine the maximum amperage draw required by your boat in order to protect you from blackouts caused by a system that is too small. Noise is a concern often voiced by customers, and we are able to place these gen units out of the way, in engine rooms or other compartments, in order to remediate the problem. Units should include well-sealed, watertight compartments to protect against corrosive water and leaks. Anti-siphon valves can help prevent problems in rough waters, and heat exchangers will help cool the motors and extend the life of your marine generator. Bargain generators can not only let you down just when you need them most, but can also contribute to injuries and even death if not properly installed. We recommend choosing well-constructed units with dependable motors that are rated at least one quarter higher than your maximum draw. The biggest concern boat owners express regarding their marine generator is a lack of power when starting up amp loads. Turning on lights, air conditioning, refrigerators and other items increases the amperage draw. A unit that is too small can be overwhelmed and will blow out, potentially ruining condensers on the refrigeration and cooling units, as well as leaving you in the dark. At YachtAid Marine, we are concerned not only about your safety, but also about helping to create an enjoyable experience. Helping you choose a reliable marine generator that will provide dependable service while you are out on the water is our business. We are able to determine not only the size but also placement as well as selecting which brand best suits your needs. Call YachtAid Marine today for more information on our superior line of marine generators and products.